Leigh Jamieson has been with Inspiration+Co since 2010. 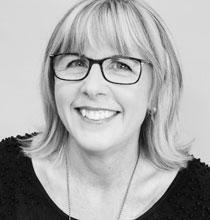 She provides design and project management services, working with both residential and commercial clients. Leigh has a diploma in interior design and a degree in business management. Prior to joining Inspiration+Co, Leigh worked in leadership, project management, human resource and administration roles. Leigh gets satisfaction from helping clients to define what it is they want in their homes and offices, and from this, creating spaces that not only look great but function well for them. She has a particular interest in kitchen design and functionality.